A wave of new tobacco ads debuted across prime-time television and published in newspapers this weekend, but they aren’t promoting what you might expect. They are “corrective statements” that a federal court judge ordered tobacco companies in the United States to release to inform the public about the dangers of smoking. They were released beginning Friday, according to the Department of Justice. In 1999, the Justice Department filed a lawsuit against the country’s largest cigarette manufacturers and tobacco trade organizations, claiming civil fraud and racketeering violations over the course of more than 50 years. Then, in 2006, federal judge Gladys Kessler ruled that tobacco companies had violated civil racketeering lawsand ordered them to put stronger language and warning labels in their marketing and to print ads detailing smoking’s health effects. Under court order, the ads are paid for by the tobacco companies Philip Morris USA, Lorillard, R.J. Reynolds Tobacco Co. and Altria Group. “There was a decade of litigation over exactly what they say and when they’re going to run and what the font sizes are and all of that stuff,” said Stanton Glantz, a professor of medicine and the Truth Initiative distinguished professor of tobacco control at the University of California, San Francisco, who was not involved in the lawsuit. “But it is meant to, to some extent, reverse 50 years of lying to the public,” he said. The ads appear as black text on white backgrounds and detail the health effects of smoking, the addictiveness of cigarettes, and the dangers of secondhand smoke and low-tar cigarettes, among other health concerns. Altria, which owns the maker of Marlboro cigarettes, issued a statement in October in response to the court order. “We are working to address and resolve many of the controversial issues relating to the use of tobacco. The tobacco industry today is very different than it was when this lawsuit was filed in 1999,” the statement said. The corrective ads mark a “landmark moment,” said Cliff Douglas, the American Cancer Society’s vice president for tobacco control and director of the society’s Tobacco Control Center. The American Cancer Society — along with the American Heart Association, the American Lung Association, the Tobacco-Free Kids Action Fund, the National African American Tobacco Prevention Network and Americans for Nonsmokers’ Rights — was involved in the case to ensure that public health interests were presented to the court. “It brings a certain degree of closure to an era now extending to well over 50 years, during which the tobacco industry committed widespread fraud and engaged in conspiracy, as found by the court, to deceive the public and health experts and the government,” said Douglas, who is also an attorney. Although many medical professionals and tobacco control advocates applaud the ads, some also warn that the “corrective statements” are far from closing this chapter in history. “As pleased as we are that it has finally come to be and the corrective statements will be out there in newspapers and more also on television, the way young people watch and consume media has fundamentally changed,” said Robin Koval, CEO and president of the Truth Initiative, a nonprofit tobacco control organization. For instance, only about 5% of 18- to 29-year-old Americans often get news from reading print newspapers, according to a Pew Research Center survey conducted last year. 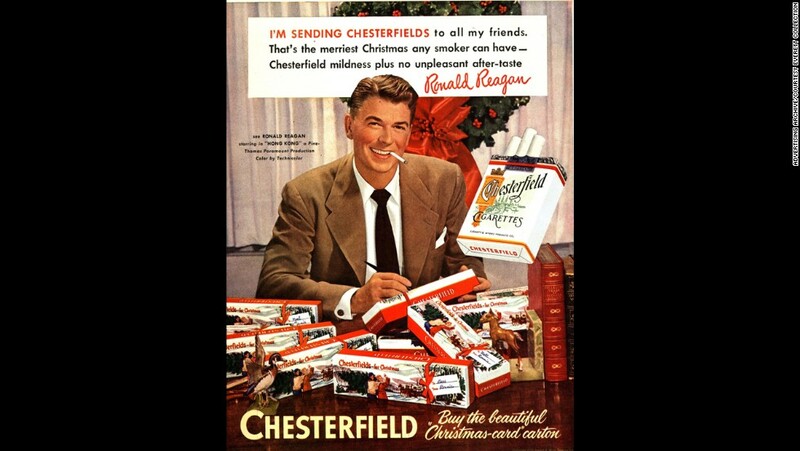 The “corrective statements” serve as the end of “a particular battle that went on for way too long,” she said, but the tobacco industry continues to oppose tax increases, opposes using graphic images as warnings and opposes banning the sale of menthol cigarettes; flavored tobacco is thought to be more appealing to younger smokers. “I’d like to say this was the end of an era, but it’s not,” Koval said. 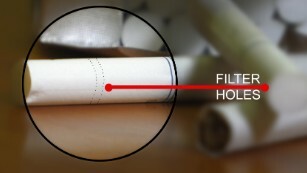 About one in five US adults used some form of tobacco product in 2015, and cigarettes were the most commonly used product, according to the Centers for Disease Control and Prevention. Yet research continues to suggest that frequent smoking — and secondhand smoke — can have negative health impacts. Cigarette smoking causes more than 480,000 deaths each year in the US, more than HIV, illegal drug use, alcohol use, motor vehicle injuries and firearm-related incidents combined, according to the CDC. Since 1964, the CDC estimates, approximately 2.5 million nonsmokers have died from health problems caused by exposure to secondhand smoke. Presser was not involved in the case or the ads, but he said he sees the health impacts and addictiveness of smoking firsthand. For the many patients whom he has treated for smoking-related cancers, Presser said, he tells them “it’s not your fault” for having a cigarette addiction. “He told me that he used to smoke while he was playing, which is unbelievable, because you take an athlete on the professional level as a football player and then you put smoke into his body, you wonder how good he could have been,” Presser said before detailing how he removed cancer from the patient’s lungs. After the procedure, the patient stopped smoking, Presser said, but then his mother died, and he returned to smoking for a short while before quitting again. Smoking rates have been on the decline in the US, but some experts — such as Presser and UCSF’s Glantz — point to the rise of e-cigarettes as representing a new era of public health concern.